The Deluxe Dressing Stick assists in applying and removing clothing. The dressing stick is finished with lacquer and has a reinforced hook. In addition to dressing, the stick can also be used to push or pull objects. The Deluxe Dressing Stick assists in applying and removing clothing. The dressing stick is finished with lacquer and has a reinforced hook. 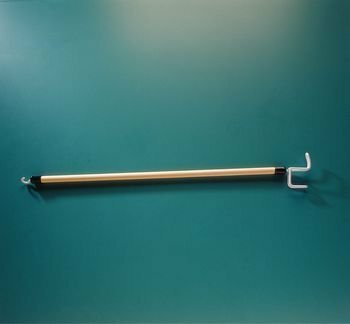 In addition to dressing, the stick can also be used to push or pull objects. 5/8" - diameter wooden dowel.